When it comes to re-potting a garden container there are many things to consider. So far we have covered the roots and what to look for. Now we want to talk a little about choosing a new container and techniques to use. If the main reason for re-potting the plant is you need to increase the size by giving it more room than you have to select a planter that is larger. How much larger - well it's best to choose one that is just a few inches larger. If it is near the same size, there is no point and if it is too large then not only will the plant look undersized and funny but it could be over watered and grow to fast. 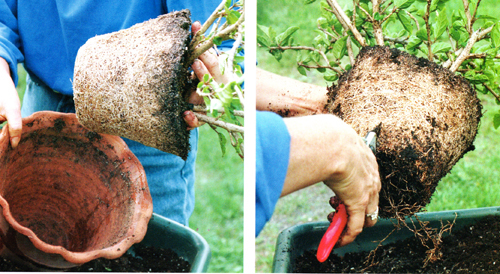 Make sure the style of pot is similar so you won't have to cut the root ball to much to make it fit. 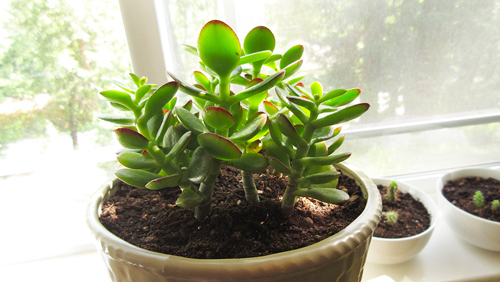 The hardest part of re-potting a plant is to just get it out of the current pot that it is already in. If the root ball is a tangled mess than this could create quite a chore. Don't pull on the plant but turn the pot over on it's side, tap the rim and try to slid the plant out carefully. 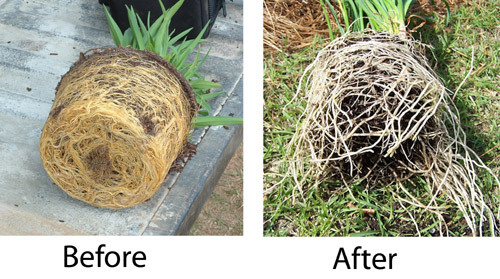 It is best of the root ball is dry instead of wet. The weight will be much less. Just be careful that you don't chip or crack the planter. Take the new - larger - pot and add some fresh soil to the bottom. Drop the root ball into the center. Make sure the height is correct and then fill the sides in with more fresh soil. Tamp down and keep going. 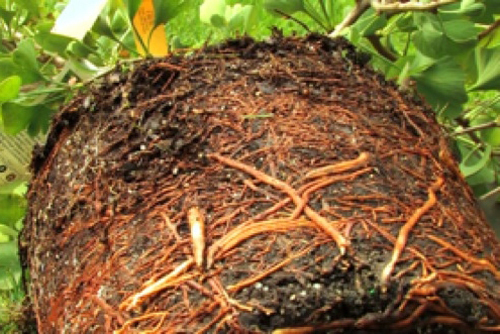 The main thing to remember is that you are working on a live plant with a live root system. So be careful, cautious and gentle.